One billion XRP owned by Ripple has just been released from escrow. The XRP, worth about $309 million, is now available for Ripple to sell to third parties. Ripple owns about 53.5 billion XRP, which is roughly 54% of the total supply. The company releases one billion of its holdings each month and sells a portion of it to third parties in privately arranged over-the-counter (OTC) deals. Ripple typically ends up selling a small portion of the XRP released from escrow and locks the rest back up at the end of the month. 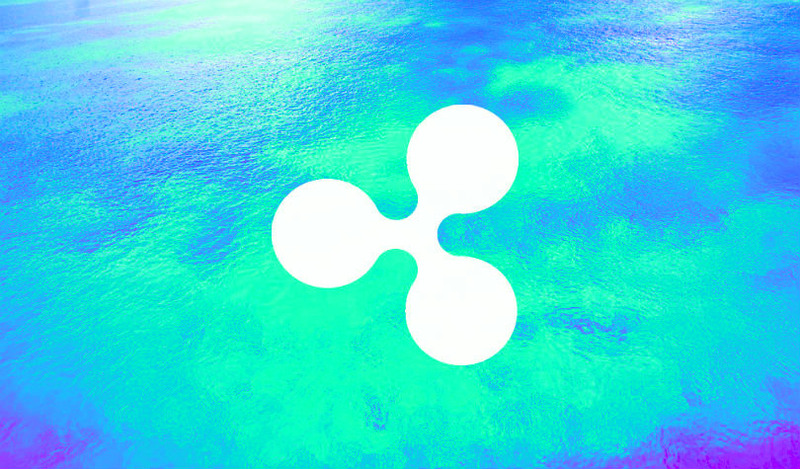 In its fourth quarter markets report, Ripple reported selling a total of $535.56 million worth of XRP in 2018. 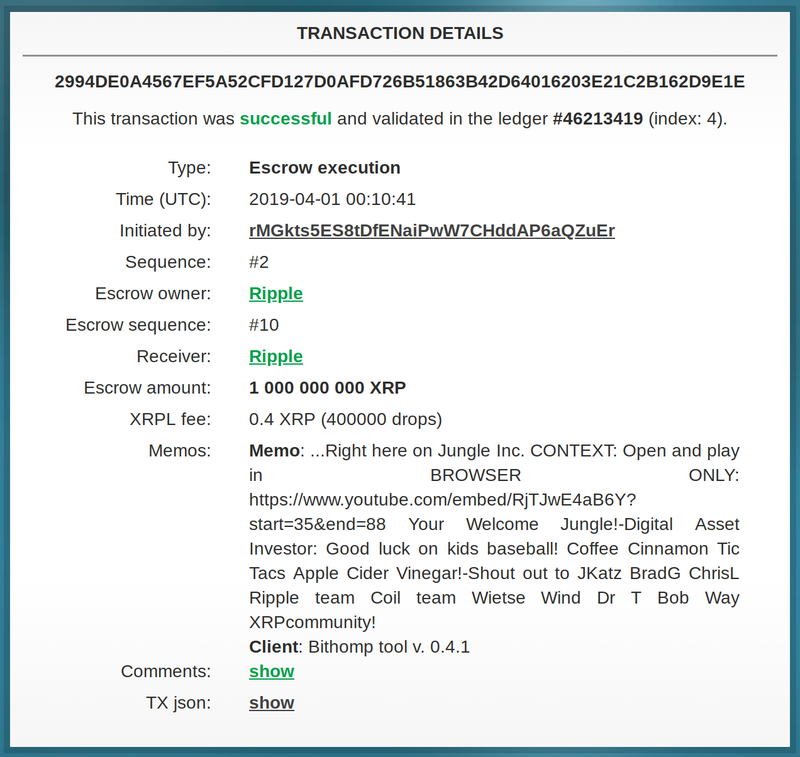 This latest transfer includes another mysterious memo, which is apparently added by the validator that executes the transaction, and not Ripple itself. This month’s memo, seen in the image above, includes a link to a YouTube video from Ripple supporter Jungle Inc. In the clip, Jungle talks about the fact that his catch phrase “The Revolution Will Be Televised” was included in a previous memo. The new memo also gives a shout-out to various figures in the XRP-verse, including Ripple CTO David Schwartz, CEO Brad Garlinghouse and founder Chris Larsen.